Look out G.I. Joe, there's a new action figure on the block. On the list of hot new Canadian toys for Christmas: the Sir John A. Macdonald doll, no joke! It stands 15 cm tall, with movable head and arms and comes with a 20-page booklet on Canadian history. Specialty shops across Canada are having a hard time keeping the doll in stock. While some Canadians admit the prime ministerial doll doesn't "really do it," others, as heard in this CBC Radio clip, think an action figure fashioned after the founding father of Canada, is "pretty cool." Photo: John A. Macdonald doll photo courtesy Nafekh Technologies. • Sir John A. Macdonald was the ideal candidate to be immortalized as a toy figure. He was described as tall and loose-limbed with a shock of unruly hair and big nose, which made him a favourite among caricaturists. • Made by a Montreal-based toy company called Nafekh Technologies, the Sir John A. Macdonald doll came with oval stand, tripod table and eyeglasses. It also included a bilingual illustrated book called The Story of John A. Macdonald: Canada's First Prime Minister. • The Macdonald doll wasn't the first attempt to capitalize on his legacy. 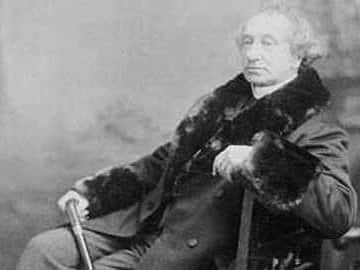 In 1999, the bedroom suite once owned by Sir John A. Macdonald was auctioned on eBay for $900,000 U.S., but the deal fell through when it was discovered that the winning bid came from a 13-year-old boy in New Jersey. • Owner Lorne Chesebrough acquired the bedroom suite set in 1964 when he bought a Kingston home owned by one of Macdonald's supporters. Chesebrough tried to sell the suite again on eBay in 2002 but failed to make the sale.